Charles Leclerc insisted Thursday that he doesn't worry about the pressure which is about to engulf him as he attempts to help the fabled Ferrari team break an F1 title drought which has now stretched beyond a decade. The highly-regarded 21-year-old Monegasque starts his first season with the Italian giants after leaving Sauber to replace Kimi Raikkonen, who was the last man to win a drivers' world title with Ferrari in 2007. But having set the fastest time on the second day of the first week of pre-season testing, Leclerc shrugged off the expectations of a campaign which will see him partner four-time world champion Sebastian Vettel, the German star is 10 years his senior. "I try not to think about it. 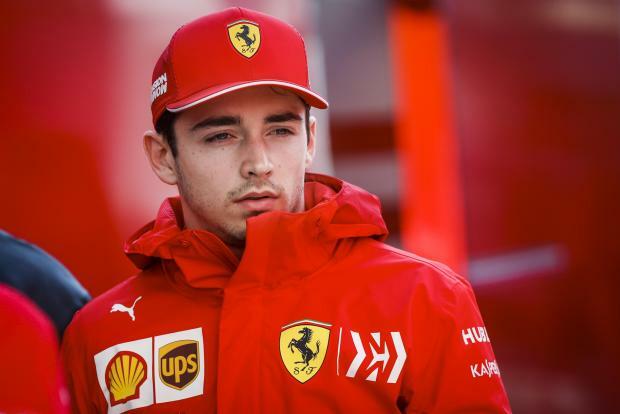 It's very important for me to focus on myself, on the job I have to do on and off the track with the engineers without really thinking about what people expect of me off the track," Leclerc said Thursday. "Since I got on the track I have done some really good work, I tried to put any emotion to one side." Leclerc said it was a challenge to make the step-up from mid-grid Sauber, where he made his debut in 2018, to Ferrari who boast 16 constructors' titles and 15 drivers' crowns. The last constructors' honours came the way of Ferrari in 2008, a year after Raikkonen's most recent drivers' triumph. Leclerc believes Ferrari have the tools and the drivers to shatter Mercedes' iron-grip on the sport with Hamilton's outfit having swept the last five. "I think we have a strong car. But in terms of comparison to direct competition, including Mercedes, I think we will only really know at the first race (in Melbourne, March 17)," he added.